The Flamengo district of Rio de Janeiro offers a comfortable, middle class, downtown alternative to trendy beaches and resorts. Far less crowded than Rio hot spots like Copacabana or Ipanema, Flamengo is still located close enough to be a short cab ride away. The neighborhood’s main highlight is Flamengo Park, a grassy section of reclaimed shoreline that faces Guanabara Bay. 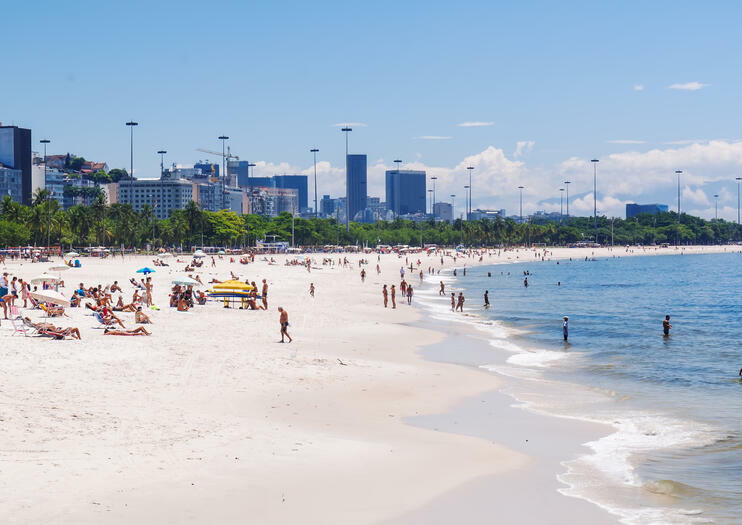 The water here isn’t safe for swimming, but the walking trails throughout the park are packed with joggers, walkers, and locals in the morning and late afternoon, not to mention that the Flamengo beach offers sweeping views of Guanabara Bay, Sugar Loaf Mountain, and Christ the Redeemer. There’s also a wide selection of local restaurants and steak houses for a leisurely lunch or dinner on the town. A benefit of the neighborhood’s location is that late night venues are a cab ride away if you want to party all night—yet the neighborhood itself is quiet enough if you’d prefer a mellower night. By cab, Flamengo is located 30 minutes from the airport and 20 minutes from Copacabana. While the neighborhood is largely safe by day it still requires caution at night, and is a convenient, centrally located base for a comfortable stay in Rio. Sail on Guanabara Bay for a half day, viewing the Rio's picturesque city skyline and Sugar Loaf mountain from the water. On this 4-hour cruise from Rio, glide through the bay's tranquil waters, passing islands and historic forts. Upgrade your experience to enjoy a local all you can eat barbecue lunch at a restaurant in Rio. Round-trip transportation from most Rio hotels is included.